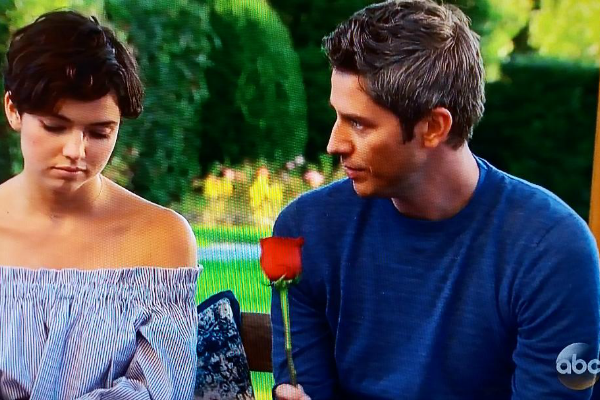 It’s the final week of dates on “The Bachelor” before Arie gets hometown dates with the women who make it through this week. However, before that, three of the bachelorettes must conquer a final three-on-one date! Soon after Arie and the remaining women (Lauren, Tia, Sienne, Bekah M., Becca K., Kendall, and Jacquline) arrive in Tuscany, Italy – Pisa to be exact, host Chris Harrison greeted the women by dropping a few bombs. One, he told them about the three-on-one date, second – there would be NO Rose Ceremony this week, and three – there would be one group date, and three one-on-one dates. Back at the Hotel: Jacquline said she held-out on having feelings for Arie until she went on the one-on-one date last week. With the hometown date coming-up, Jacquline had some doubts about Arie and contemplated leaving. Back to Becca & Arie Date: Arie dug deeper into Becca’s past. He questioned her about her family (as he did with all the girls since the hometown dates are on the horizon). Becca stated that her last boyfriend never “officially” met her family all at once. Arie would be the first, and Becca waasn’t nervous about it. She did tell him that she’s falling for him which is something he wanted to know. Arie kissed Becca and later said in his video confessional that “it feels great that Becca’s falling for me” and he could see a future with her. 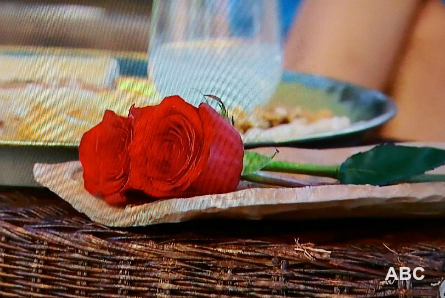 While holding the rose to present to Becca, Arie told her that he’s falling for her. That means Arie would be going to Minneapolis to meet Becca’s family next week. 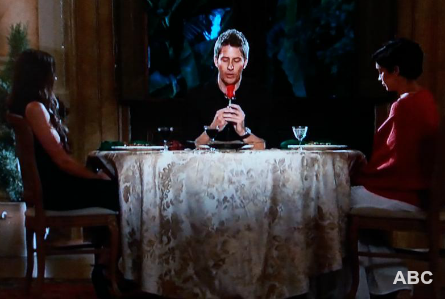 Back at the hotel: The next one-on-one Date card arrived which read – “Lauren, let’s break down our walls.” Arie picked her to go on a second one-on-one date. Lauren was shocked since she went on a date with him last week. Next, Jacquline decided to go talk to Arie, who had just gotten back from his date with Becca K. in private at his hotel room. The struggle was real for Jacquline who told Arie that she didn’t expect to develop “super strong” feelings for him. But, there was indeed a moment of doubt during their date last week and various moments after that. She’s worried that she’ll end-up in Scottsdale with Arie, not understanding how she got there without a “foundation” with him. Jacquline explained that she needs to know the difference between being really interested in someone and being “ready.” Which she is NOT. Jacquline proceeded to exit the show, leaving Arie behind. He, of course, was blind-sided. The next day, Arie said he really respected Jacquline for calling it off since…READ FULL ARTICLE and See Who Else Went Home HERE!